WB: HeLa whole cell lysate; CHO membrane fraction. Our Abpromise guarantee covers the use of ab10286 in the following tested applications. WB 1/2000 - 1/5000. Predicted molecular weight: 67 kDa. 1/2000 - 1/5000. Predicted molecular weight: 67 kDa; however it does run on SDS-PAGE as an ~90kDa protein, this is mainly due to a number of negative charges at the C-terminus of the protein which effects the SDS binding to the molecules and consequently its SDS-PAGE mobility. 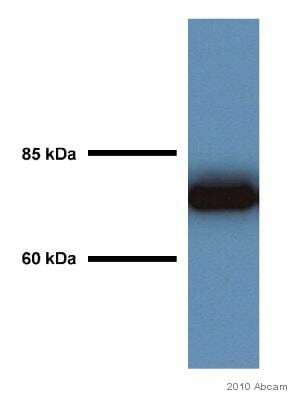 Western blot probed with ab10286 at 1/1000. 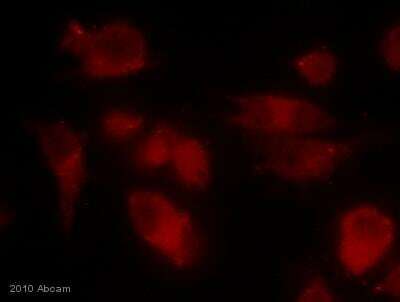 Lane 1 – calnexin deficient human NKR T-lymphoblastoid leukemia cell lines. Lane 2 - human CEM T-lymphoblastoid leukemia cell lines. 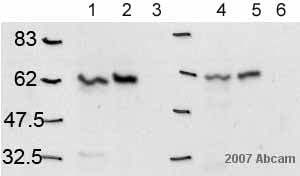 Western blot probed with ab10286 at 1/1000. Lane 1 – calnexin deficient human NKR T-lymphoblastoid leukemia cell lines. Lane 2 - human CEM T-lymphoblastoid leukemia cell lines. Paraformaldehyde fixed HeLa cells stained with ab10286. For further details please refer to the customer Abreview. ab10286 staining Calnexin in Pig retinal pigment epithelial cells by ICC/IF (Immunocytochemistry/immunoflurescence). 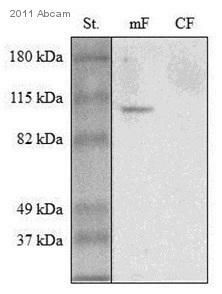 Cells were fixed with paraformaldehyde, permeabilized with 0.5% TX-100 and blocked with 5% serum for 20 minutes at 25°C. 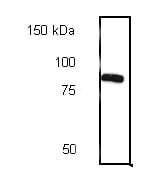 Samples were incubated with primary antibody (1/500 in 0.1% TX100; 1% goat serum; 1XPBS) for 16 hours at 4°C. 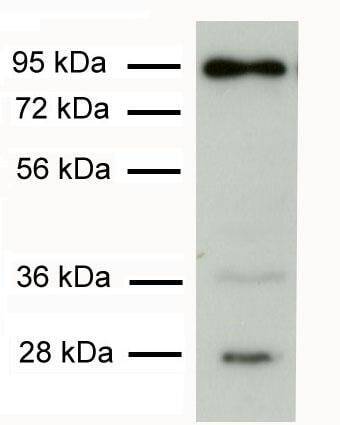 An Alexa Fluor® 488-conjugated Goat polyclonal to rabbit IgG, dilution 1/500, was used as secondary antibody. 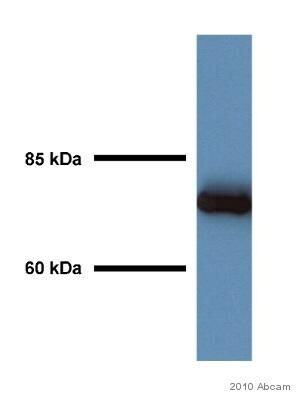 Western blot - Anti-Calnexin antibody (ab10286)This image is courtesy of an anonymous Abreview. 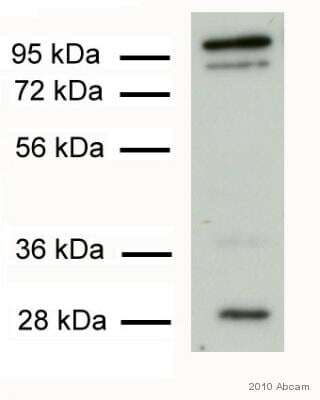 Western blot - Anti-Calnexin antibody (ab10286)This image is courtesy of an Abreview submitted by Mr. Yannick Waumans. Publishing research using ab10286? Please let us know so that we can cite the reference in this datasheet.